Every fashion enthusiast in the country desperately waits for Lakme Fashion Week. This bi-annual event is the Mecca of Indian fashion. While the summer run of the Lakme fashion show is over, we are already excited for its coming winter rendition. In this post, we will take a walk down the memory lane and refresh the events. Let’s get it started! Part 1. Lakme Fashion Week 2018 : What is it all about? If you are new to fashion, then chances are that you must have only heard of Lakme Fashion Week. It is a bi-annual event that is organized by Lakme and IMG Reliance. The event takes place in Mumbai twice a year. While the first half takes place before April (the Summer-Resort show), the second half mostly happens in August (Winter-Festive show).The first Lakme Fashion Week was started in 1999. Ever since, the event has witnessed some of the biggest names in the industry. For instance, reputed models like Naomi Campbell or Bollywood stars like Kareena Kapoor, Jacqueline Fernandez, Priyanka Chopra,and Deepika Padukone have been the showstoppers in the past. The Lakme India fashion week has hosted various international labels like Louis Vuitton, Roberto Cavalli, and Dolce&; Gabbana. It has also featured Indian designers in the past like Rohit Bal, Ritu Beri, Manish Malhotra, Sabyasachi, and more. The Lakme Fashion week schedule for 2018 was from January 31 to February 4 this year. The event got hosted at the beginning of the year, giving enough time for the winter show. Needless to say, it was the summer-resort leg of the Lakme Fashion Week. The Lakme fashion Week 2018 venue included 6 Degree Studio, The Showroom, Central Avenue,Bandra Fort, and ITC Grand Central (Mumbai).Let’s quickly take a look back at what happened during the Lakme fashion week 2018(summer-resort). 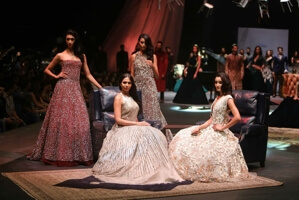 The first day of any event is quite special and Lakme India Fashion Week is no such exception. The event started with a spectacular show on the runway. The first show was “Gen Next” which was dedicated to the fashion of tomorrow. After that, Dhruv Kapoor and Ragini Ahuja’s summer dresses took over the runway. On the second half of the day, a spectacular show was given by none other than Ritu Kumar.The day concluded at the ITC Grand where a memorable show was hosted by Anita Dongre.Famous Bollywood stars like Shahid Kapoor, Mira Rajput, and Tapsee Pannu walked down the runway during the Anita Dongre show. The second day of the Lakme fashion week 2018 was certainly the most power-packed day.The day started by having a discussion on the fashion trends of Northeast India since the first show was inspired by the northeast as well. The sustainable fashion trends and Indian fashion week dresses made of recycled products were the talk of the town. The day concluded with a show by Rajesh Pratap Singh. On the third day of the Lakme Fashion show, we saw more earthy and raw designs. There was also a mid-day showroom edit. The afternoon show by Gaurang also got a lot of traction. Though, it was the last show of the night by Tarun Tahliani that took everyone by surprise. Not only it featured some of the best Lakme Fashion Week dresses, but also got stars like Kriti Sanon, Sana Khan, Yami Gautam, and Kalki Koechlin on the runway. On the fourth day, brands like Caprese and Kotwara took the stage. The audience was delighted to witness a dedicated show from Shantanu and Nikhil. The day featured tons of celebrities like Sushmita Sen, Disha, Saif Ali Khan, Bipasha, and Tamannaa. The last day of the Lakme Fashion Week 2018 certainly concluded the event with a big bang. It featured designers like Anamika Khanna, Nikita Singh, Neha Agarwal, and Narendra Kumar. Also, the audience was able to catch a glimpse of their favorite celebrities as well. From Kareena Kapoor to Shilpa Shetty and Kangana Ranaut to Vani Kapoor, the day hosted tons of Bollywood stars. 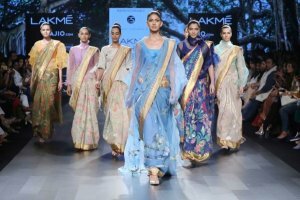 After having a glimpse of the summer-resort leg, let’s wait for the winter-festive season of the Lakme India Fashion Week, which is expected to take place in August this year. While the summer-resort leg of the Lakme Fashion Show 2018 is over, you can catch the latest fashion buzz on Snaptube. 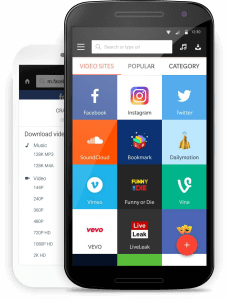 It is a freely available Android app that has integrated various video sharing platforms together. You can find unlimited content on fashion without switching between different apps. Watch the highlights of the previous fashion shows or catch the latest gossip in the town. Go ahead and download the Snaptube app on your device right away and watch your favorite videos anytime you want.